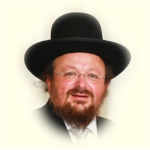 Rabbi Yonason Abraham, last week resigned his position as a prominent member of the London Beth Din as well as his post as the rabbi of Toras Chaim synagogue in Hendon, north west London, amidst allegations of an inappropriate relationship. In his resignation letter he said that he had “fallen short of the standards expected of me”. Dayan Abraham is renowned speaker who attended many Jewish functions worldwide. Allegedly It started when Dayan Abraham attempted to unite a couple that was going through a divorce. Eventually the Dayan got close to the wife. The suspicious husband had his wife followed and she was found with the Dayan in the same hotel room. 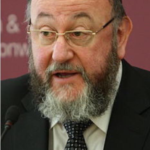 In a forthright and unprecedented message to rabbis under his auspices, Ephraim Mirvis, he said: “The London Beth Din is one of the oldest and most respected Batei Din in the world. To have discovered that one of our Dayanim had, in his own words, “fallen short of the standards expected” of him, has shaken us to the core. When one of us fails in this manner, we are all greatly diminished. “A Beth Din must be unimpeachable in its embodiment of Torah values – anything less is entirely unacceptable. It was for this reason that I, together with Dayan Gelley and the United Synagogue, ensured that the matter was dealt with so swiftly. In 2016, he accepted a senior position at Shuvu, a network of day schools founded 1991 by Rabbi Avraham Pam. 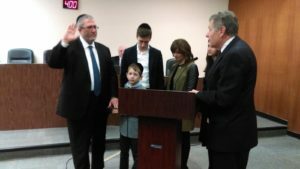 In lakewood in you have a few dollars – all is good…..
And in the 5 Towns it’s also acceptable, and in many other frumie places. Agreed that Lakewood is king. Which picture is not relate to the article? Who is the happy couple at the water? 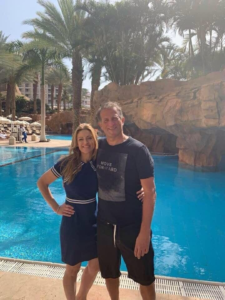 Why was the picture with the water background removed? It must be something with “mayor”. The first picture has the London Mayoress. And the second, Lakewood Mayer! The tzibur is reminded that their are gidrei tzinus that are applicable to all without exception. As such, if an individual even one purporting to be a Rabbi is found alone with a woman or corresponding with a woman you should be aware and warn others! The publisher of this site can share my contact information if you have first-hand information. Yitmo chatim not the chotah! What’s wrong with men these days? Why do so many of them think it’s okay to speak to women or even touch women in completely inappropriate ways? Conventional wisdom answers that the problem is that men don’t respect women enough, and when men learn to respect women more, the sexual harassment will stop. But this answer is incomplete, since many of the men who engage in that kind of behavior do respect women, and, as a society, we respect women today more than ever. The problem is that men, and even women, to not respect intimacy. When a man and a woman touch, or speak sexually, or even are alone in a room together, that is intimacy. It does not matter how cavalier and casual those involved go about it, because intimacy is an objective reality not dependent on how those involved feel. When we learn to respect and honor intimacy, there will be no room for jokes, or casual sexual behavior with or without consent, and the excuses of “I was just joking around” or “I thought she was okay with it!” will be invalid. And when we learn to respect and value intimacy, we will come to enjoy and appreciate the intimacy we have with the people we love.